Do you have a great idea, service or product? Then now it’s time to build a website and realize your dream. An eternal optimists say, “Build it and they will come.” This is easier said than done. There are many frustrations awaiting such an endeavor. However, with some guidance, it can be a fun and rewarding experience. In the following column I talk about various ways to build an online business. Whether you’re selling services or products there are multiple ways to get started. The simplest way is an all-inclusive solution. Many companies offer turn-key solutions which include a basic website template and e-commerce store. Usually cost varies from $20 to $30 a month with a modest set-up fee to process your application. Monies you make are either mailed to you by check or transferred to your bank account. Pitfalls of having an “all-inclusive-online-store template” is that the end result is an online store that doesn’t look very professional. It could look down right ugly. This wouldn’t matter if you had an inexpensive niche product or service that everyone wants to buy, but this may no be the case. Niche products and services are slowly disappearing as more websites are filling these voids online. This is why being competitive from the start is so crucial to your online store succeeding. Let’s assume you already have a website. Pay Pal offers a program where you sign-up for free to accept monies online and charge a very small fee per transaction when money is sent or received. Millions of people use Pay Pal this way. Simply sign up with Pay Pal (you’ll need to have an active bank account) and in 2 to 3 days you are ready to go. The difference between a very basic e-commerce store and a professional store is the user experience. The look and feel of a professional store has a well designed or even custom designed interface with a variety of options. Go to chat rooms to talk up your website. Post a few items or services on E Bay and include a link to your main website. Also you can submit your website information to hundreds of free directories over the Internet. You might also consider setting up an affiliate program whereby you offer commissions to people who resell your products or services. There are people who make a living participating in multiple affiliate programs. Set up your website and grow your online presence. The longer your online store is live on the Internet, the greater the chances are of being found. Most importantly don’t quit your day job just yet. Building an online business at any level takes time and patience. Six months may go by without one single sell. Don’t get frustrated. Give the search engines like Google,time to find your website and list your website. Talk to other people who have similar products or services online. You’ll be surprised how helpful and friendly these people can be in offering you some solid advice in growing your business. After all, they have been there and done that. Build it and they will come. Wait and they won’t. Your E-commerce website is a way to capture niche markets and build a new customer base. 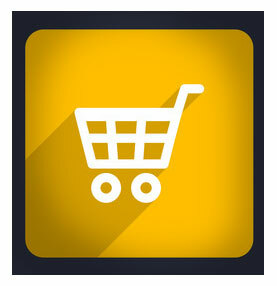 Our web site solutions can get you up and running a sophisticated online e-store to start selling your products online. This lets your customers browse and buy from any where in the the world! Accept customer credit card online, and ship their merchandise very same day. We can create, design and develop your search engine optimized shopping cart application for your business. Our company can help you establish a powerful E-commerce Internet presence on the World Wide Web. Start planning your online store today with our design and e-commerce brainstorm planning sheet. Rick Vidallon is President of Visionefx, a Web design company based in Virginia Beach, Va. They provide services to national companies as well as small to medium businesses throughout the United States. Rick can be reached at (757) 619-6456 or rick@visionefx.net. Visionefx a ecommerce website design company in Virginia Beach provides e-commerce solutions for any sized business.